When it seems like every day there is a new music device put up on the market, it can be understandable to yearn for the good old days. Back when speakers had that fashionable, retro look, or when you could enjoy the unique tone that your turntable would bring to your music. 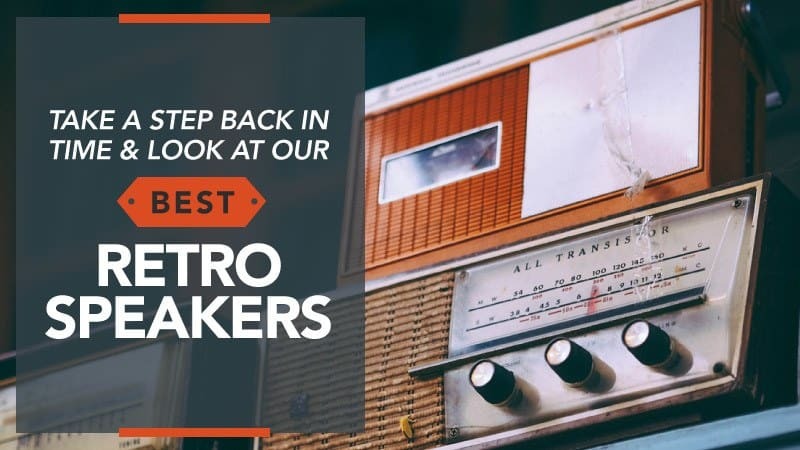 Regardless of whether you’re someone who wants their home to return to that retro look, or someone who wants to own modern technology disguised as classic music hardware, this list is designed to help you find the retro speaker that is suited to your home. We know it can be hard to know which ones are the best for you. That’s where we come in and lend a hand. We have created this guide in order to help you find the best retro speakers, compiling all of the relevant retro speaker reviews in one place, so you can find one that works for you. What Makes a Retro Speaker Different? There isn’t much that makes a retro speaker different from a regular one. It often has the same kind of technology inside it, like Bluetooth connectivity, as well as brilliant sound quality and other fun, techy, add-ons that you might expect from a standard speaker. What does make it different, however, is the design. They have been made to have a more classic look, and this tends to mean something from the 1950s or 1960s. There are some that might have more of an 80s vibe, but it all depends on your own personal tastes and styles. There is a speaker design from just about every era, so you are sure to discover one that works perfectly with your tastes. There is nothing better than having the most up to date technology, but also keeping a stylish feel for your home. Utilising Bluetooth is almost a daily occurrence for some music lovers, especially those who want to let friends and family choose the playlist. As such, if you are someone who is looking for a retro designed speaker with Bluetooth functionality, check out the reviews and see if this is right for you. 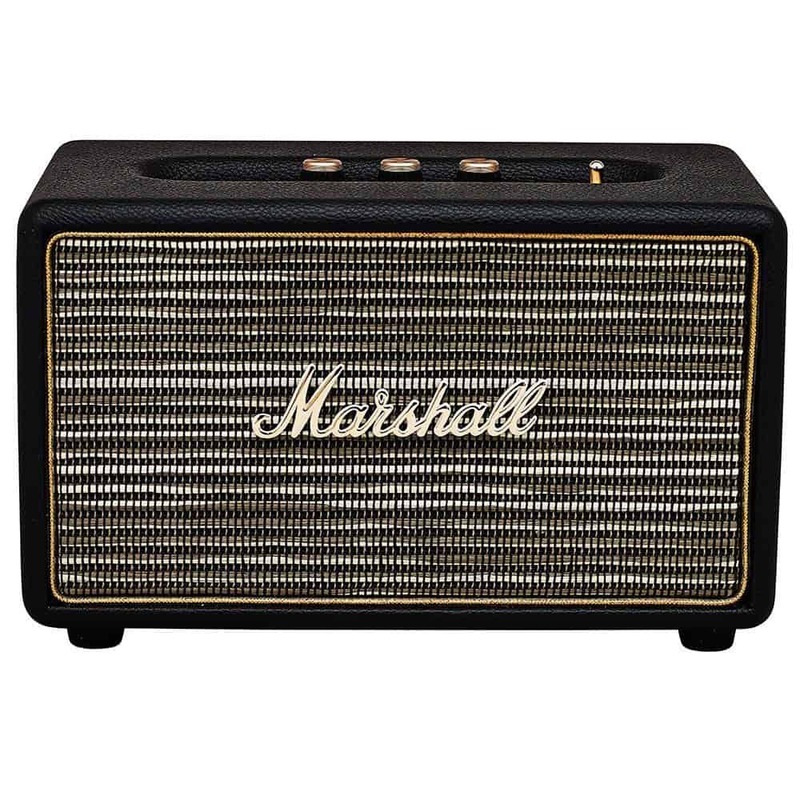 This retro speaker is one of the very best when it comes to its retro design, having been created by the famous brand Marshall. With its compact, portable size, it is the perfect addition to any bookcase, kitchen, or bedroom. The Bluetooth connection on this speaker is able to connect to modern devices across the board, including smartphones, tablets, and computers. This allows you to choose whatever song you like from wherever you like. This speaker has three controls built into its design, giving you complete analogue control over your music. Best of all, despite its vintage look, this speaker has fantastic balanced audio, giving you a powerful sound from a portable space. Some customers are aware that this is a slightly pricier option when compared to other Bluetooth speakers on the market. However, once they have received this product, they realise that the extra money was worth the boost in quality. This retro speaker is one of the best when it comes to looking vintage, but with the best functions, modern technology can create. The analogue controls on the speaker, while some may think is outdated, actually provides a whole new level of control to your listening experience. You can fine-tune and increase the bass, treble, and volume to exactly how you want it. Plus, with its Bluetooth connectivity, this speaker is a fantastic choice for social people who want to open up the music selection to their friends. The record player, or turntable, is making a come back in the modern era. Whether it is because of the distinct quality that records offer, or whether it looks chicer than an ordinary stereo, is up for debate. If you are someone who wants to find the perfect pair of retro speakers for their record player, check out this review to see if this is right for you. These retro speakers are the perfect size, shape, style and weight to accompany anyone’s record player. With a sleek, wooden exterior, these speakers are designed to accompany the most retro of record players and amplify their sound to the best possible quality. More importantly, however, if you are someone who has a record player, you’re going to want a retro pair of speakers to help boost your sound. Suitable for both indoor and outdoor use, these speakers are designed to be easy to set up with your record player, as well as other audio devices. Creating a high-quality balance of sounds, particularly when it comes to bass, these speakers will give your record player, and your music, a new lease of life that had never been possible before. Some customers have found that the pictures of these speakers shown online appeared significantly bigger than they are in real life. While the online page states their specific size and weight, it is important to note that these retro speakers are the perfect size for table-tops or bookshelves. This retro speaker is the ideal choice for people who want to improve their turntable experience, without losing the distinct feel that record player music provides. The high-quality sound that these speakers produce is second to none, especially considering their reasonable size. 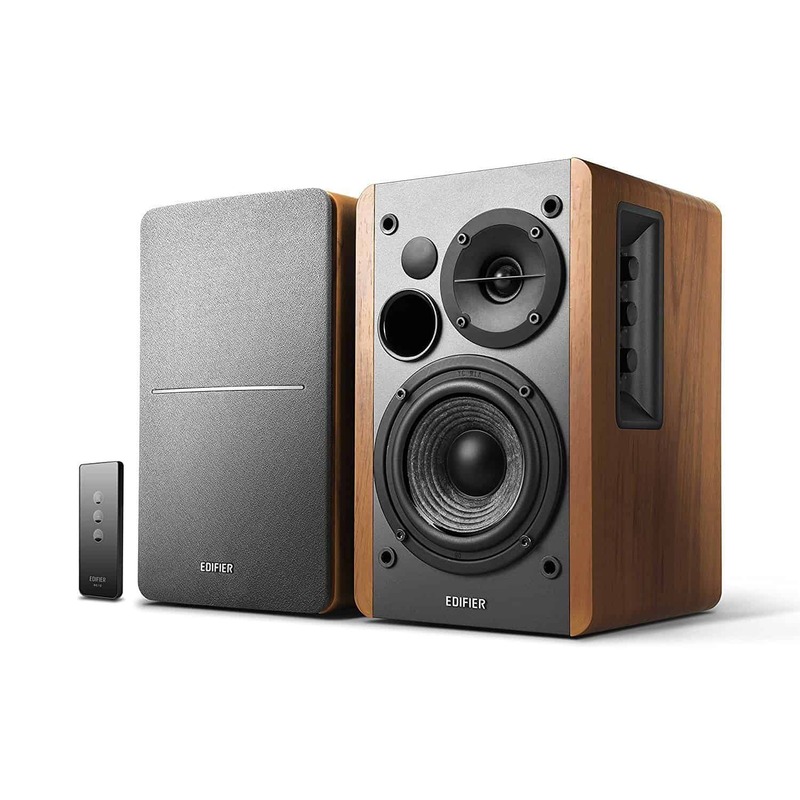 The wooden exterior adds a vintage layer to any room, and their indoor and outdoor functionality gives them an edge when compared to other speakers on the market. If you want to give your record player a new lease of life, these are the retro speakers for you. There is a misconception that to buy something that is retro, but also high quality, you’ll need to pay through the nose to get it. This is not the case. If you are someone who wants to maintain their vintage look without needing to break the bank, check out this review. These retro speakers offer an amazing sound quality, especially considering their reasonable price. With a vintage design, and a lightweight build, this is the perfect choice for people who want to take their music on the road. 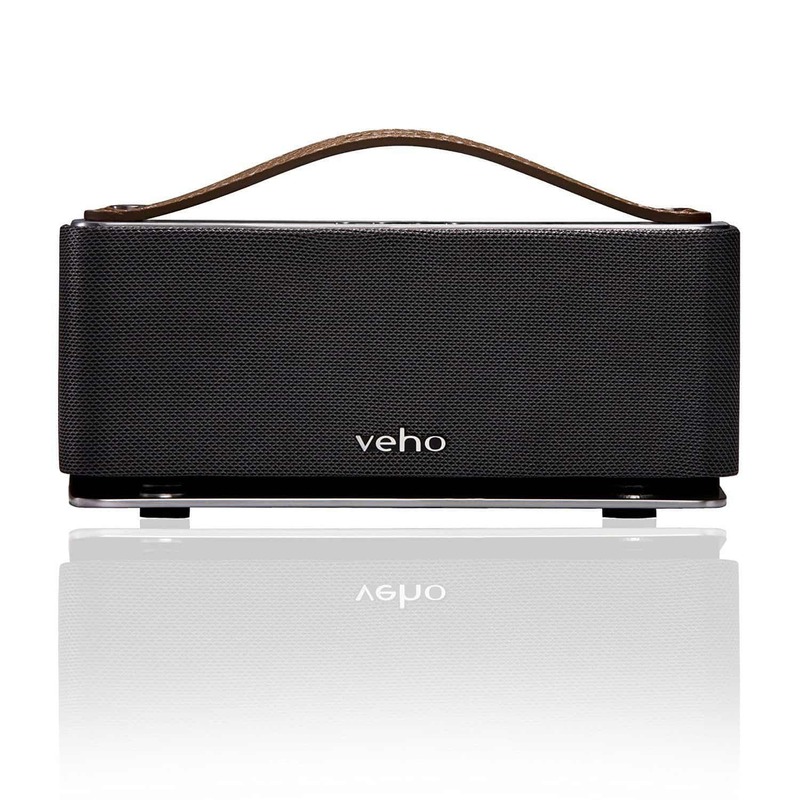 Created by Veho, a leading brand in the music equipment market, you can be sure that you’ll be getting the best quality for your money. With Bluetooth functionality, able to connect to phones, tablets, and computers, these speakers can amplify you’re the sound of your music, television shows, or video games with a simple push of a button. Some customers have found that the Bluetooth can become disrupted, primarily by being placed near phones or Wi-Fi routers. However, when placed away from these areas, the disturbances stopped. This retro speaker is the ideal product for students, travellers, or those who want to enjoy their music on a budget. Offering portability and Bluetooth options, as well as an eight-hour battery life, the high-quality sound offered by this product makes it a sensible and enjoyable choice. These speakers are the definition of value for money – affordable, long-lasting, versatile and top quality, all in a sleek and retro design. Here are some other types of retro speakers, in case the others on this list didn’t quite meet your requirements. This retro speaker is easy to set-up and is perfect for computers. If you’re someone who wants to get extra value out of their computer sound, this retro speaker provides you with an easy solution. With a simple set-up, and adjustable controls, this retro speaker not only gives you a hassle-free solution to boost your sound, but an option that gives you full control. 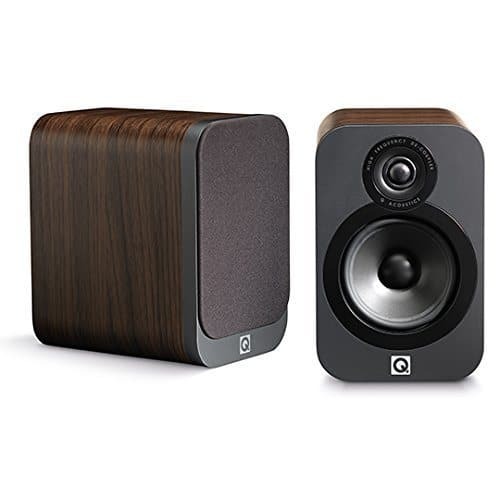 The smooth wooden exterior also gives your space a classic aesthetic, which is made all the better when considering the high-quality sound these speakers offer. This retro speaker is perfect for people who want a pair of speakers that are small and powerful. Covered with a stunning American wood finish, these speakers offer the very best for music lovers who are short on space. These speakers are able to adjust perfectly to the type of music you want to listen to. 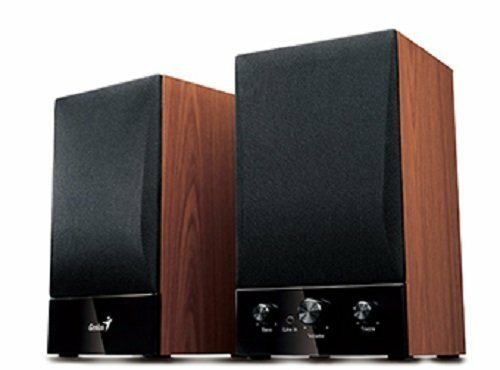 Whether it is heavy on the bass, a classical piece, or the latest pop album, these speakers can bring out the very best in all types of music. Best of all, due to their small size, they are easily placed in any living space, making this a perfect choice for people who are conscious of hefty, space consuming speakers. Hopefully, this guide has helped you to find the best retro speakers for you, and that these retro speaker reviews have helped you to figure out which one is the best for your music taste. Whether you are looking for a speaker that uses Bluetooth to play your music, a speaker that connects to your retro turntable, or simply a speaker that gives your home a retro feel with modern technology, we hope that you have found something here that suits your needs. What did you think of our best retro speakers list? Are there any that you would have liked to see or recommended? We love hearing from you, so make sure to leave us a message in the comments below.